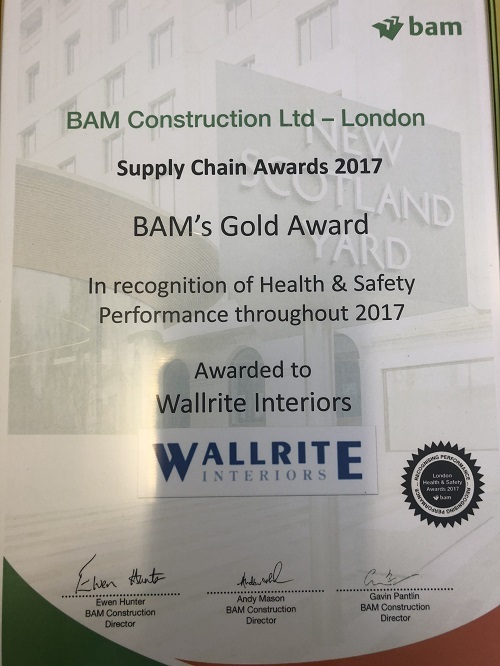 Wallrite have won a Gold Award at the Bam London Health and Safety Awards. To read more..
Wallrite have updated their ISO 9001 and 14001 systems in line with the new 2015 standards. We are due to start work in August on a £1.5 million new build project at 2 Orchards in Bracknell. Wallrite have begun work on a £1.4 million new build project on the Uxbridge Road for HBG London. We have just secured a £1.4 million fit-out project of the new Audi showroom in Brentford with ISG. 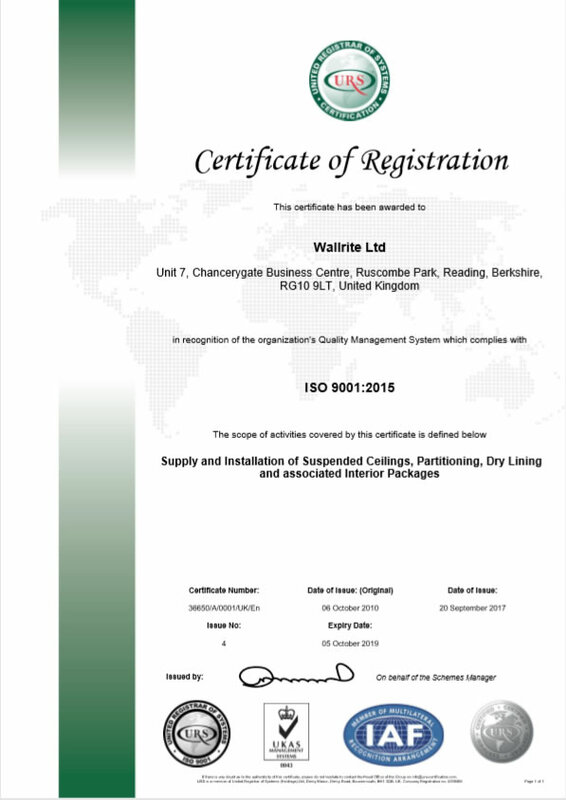 Wallrite was officially awarded ISO9001 Certification. Please click to view the certificate.